Forever 21 stores are not so flexible with their return policy. All store purchases may only be returned to stores within the original country of purchase. Please contact your local store for return policy information. 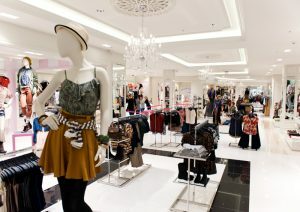 Online purchases made through FOREVER21.COM are valid for exchange, credit, or refund within 30 days from the ship date. Your return form and invoice provide a postmark date that specifies the last day you have to return your merchandise by mail or to one of our stores. You MUST provide your order invoice and the credit card used to make the purchase when returning merchandise to a store. 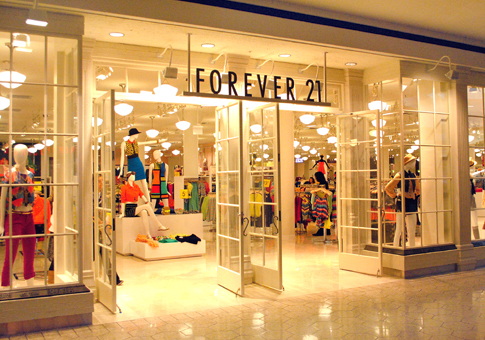 You may return your merchandise to any Forever 21, XXI Forever, or For Love 21 location within the United States. Refunds for online purchases returned in store will be issued in the original form of payment, except for online purchases made using PayPal. At this time, all store returns of online purchases using PayPal are valid for exchange or store credit only. Please allow 1-2 billing cycles for the credit to appear on your statement.